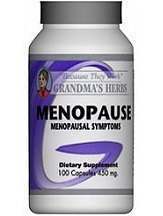 What is Grandma’s Herbs Natural Menopause Relief? Grandma’s Herbs Natural Menopause Relief is a natural remedy that works to combat PMS symptoms that occur throughout menopause. This unique formula helps to reduce the unpleasant side effects of menopause in women, including hot flashes, night sweats, tension, and mood swings. One of the key ingredients in Grandma’s Herbs Natural Menopause Relief, Black Cohosh, has an extremely high concentration of the hormone estrogen, which is instrumental in minimizing the ailments associated with menopause. The manufacturer recommends taking one to two capsules twice daily of Natural Menopause Relief. They also state you may take more if needed, but do not provide the maximum daily amount, or if this should be taken with a meal. Grandma’s Herbs Natural Menopause Relief (100 capsules) is available directly on the manufacturer’s website for $15.26, not including shipping or handling. This product is also available on a few other sites for varying prices. 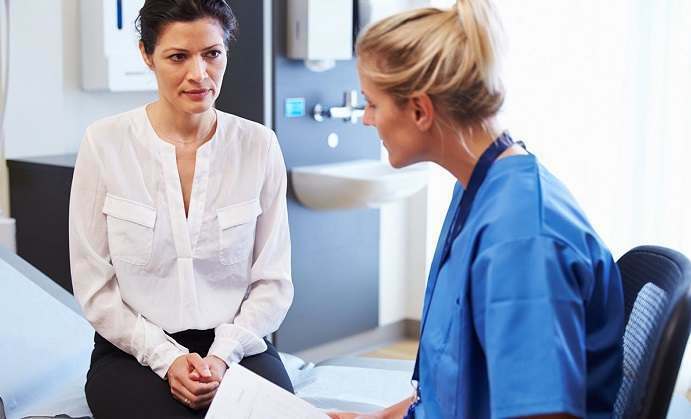 The manufacturer does not provide any information on the side effects of Natural Menopause Relief. As with any other medication or product, stop using immediately if you experience any issues. If you have any concerns about this product, consult with your healthcare provider prior to use. Grandma’s Herbs supplements contain 100% natural ingredients in their products, carefully selected to maximize the effectiveness of each remedy. With over 30 years of perfecting their herbal formulas through a master herbalist, Grandma’s Herbs is able to address today’s health concerns with over 40 different products available on their website. Customers are able to leave feedback about products directly on the website, allowing others to view testimonials prior to purchasing. Grandma’s Herbs does not provide any satisfaction guarantee, or money-back offers on their website if you are not satisfied with your purchase. They do, however, provide a customer service phone number and email for customers to use for inquiries. Grandma’s Herbs Natural Menopause Relief provides a natural way to combat the side effects that come along with menopause in women. The manufacturer has been formulating unique blends of ingredients as a result of having a master herbalist for over 30 years, only using all natural ingredients. Natural Menopause Relief is offered at a reasonable price ($15.26 per bottle, not including shipping or handling), but the usage directions are a bit unclear. The manufacturer recommends taking one to two pills twice daily, or more if needed. Without knowing the maximum dosage one should take of Natural Menopause Relief, it raises some concerns. The manufacturer also does not provide any statements about satisfaction guarantees or refund policies if you are unsatisfied with your order. No reviews exist for this product on their site, but it currently only has 1 out of 5 stars for rating. Given these drawbacks, we would recommend exploring other menopause relief products on the market.